People usually argue that Plesk vs cPanel which is better? In the world of websites and hosting providers the arguments may not end, but we can bring you an unbiased Plesk control panel vs cPanel comparison that can end the argument. The first impression of the Plesk has added a different perception in my mind, and I was using cPanel hosting at that time and today as well. The first impression I had of Plesk was simple. It took me only a few moments to understand the latest Interface because the dashboard was identical to the WordPress and I’m used to the WordPress interface. I was quite surprised that it did not have complex words and complex options that would take me to back to the first page. Overall, I was surprised that Plesk has a simple and easy to understand dashboard. You have to spend at least ten minutes for slow learners with the interface, and you are good to go. There are two types of Plesk performance, and I would like to cover both of them. 1: Plesk does not slow down your hosting servers. The Plesk developers have fixed many bugs, and they keep doing it, so you don’t have to worry about the Plesk slowing down hosting servers. Instead, it optimises it to make it faster and better. 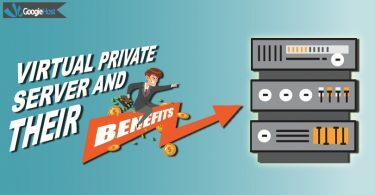 2: In cPanel vs Plesk performance, we have to inform you that it has a user-friendly interface with proper features to give you the boost. The Plesk comes with optimisation options like if your server cannot handle more than ten domains and you add more than ten domains, then you can configure Plesk to lower the bandwidth to maintain the performance. Plesk does not slow your websites down, but it maintains the quality. Plesk developer did add sufficient protection walls to the control panel, but you have to ensure that the passwords are not weak. The company did add firewalls and FTP protection as well, but again it depends on password strength. 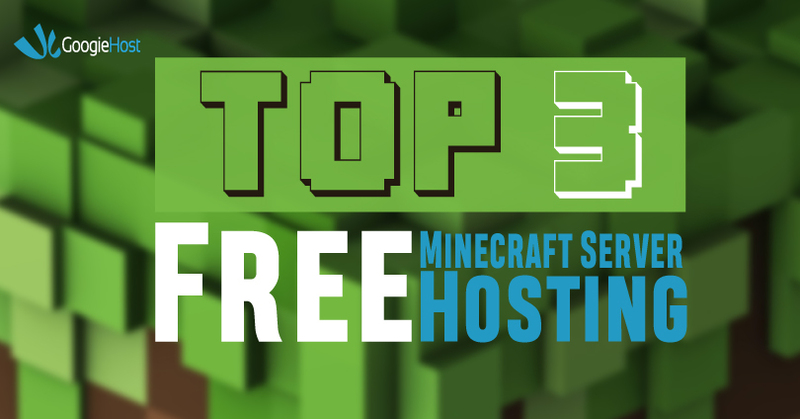 You have to ensure that the theme files do not contain any virus and other files that can get into the system and mess things up in the hosting account. 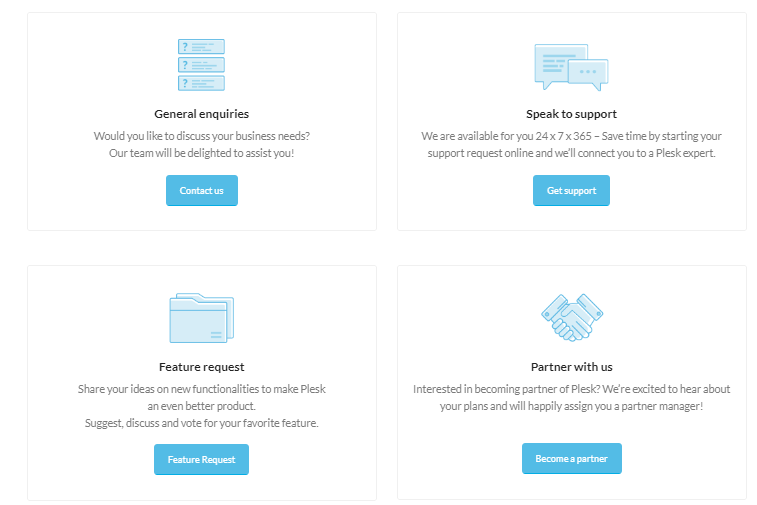 Plesk does have customer support for the existing and new users. You can contact the customer support for general queries, you can speak directly to them, you can request for a feature, and you can contact them for the partnership as well. 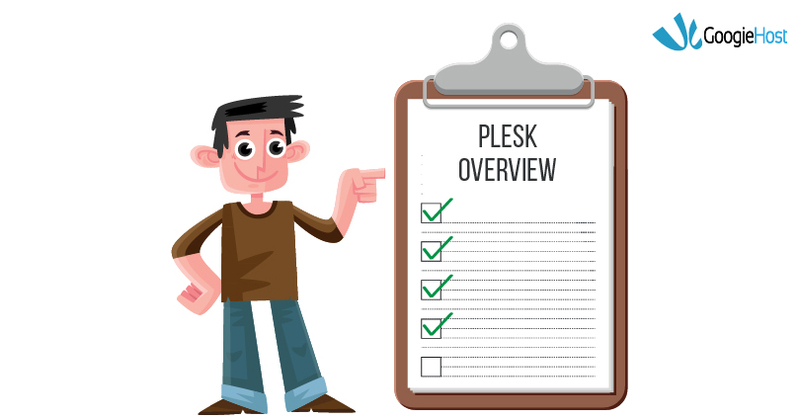 Overall, Plesk does come with all basic and professional features, and they are leading in many markets like Europe, where they have covered 80% of the market. Covering 80% of the market in Europe is a huge accomplishment. 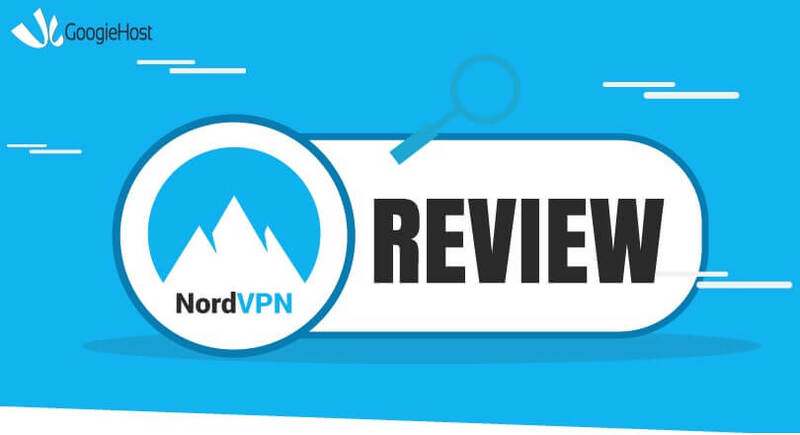 In the review of Plesk or cPanel which is better? By the end of the review, you can find out the ideal control panel for your business and users. cPanel user interface does look a little complex at first, and it would look like a nightmare to a beginner because there are too many options on the dashboard. However, if you are someone who is willing to spend thirty minutes playing around with the options, then you will become PRO at it. The beauty of the cPanel is that it doesn’t have more options after you click on a feature. cPanel requires a little time to digest, but it does make things easier for me. I have been using cPanel for a long time, and I have a very good story to tell you about the cPanel because it made my life easier. We can tell that Cpanel vs Plesk performance test gave us similar reports. 1: You can find 100’s of tutorials for every setting and using the feature online. From written detailed tutorials, video tutorials, forums, and you can get a response from cPanel experts from hosting providers. 2: cPanel gives you full control over the website and files. It does not hold you back by setting a limit (if there’s any, then you can remove it immediately.) It does not slow down your hosting servers because hosting providers optimise their servers according to the cPanel. On the top of that cPanel works smoothly as long as your server does not slow down. The developer of the cPanel has added many security features that keep the privacy invaders out of the control panel. 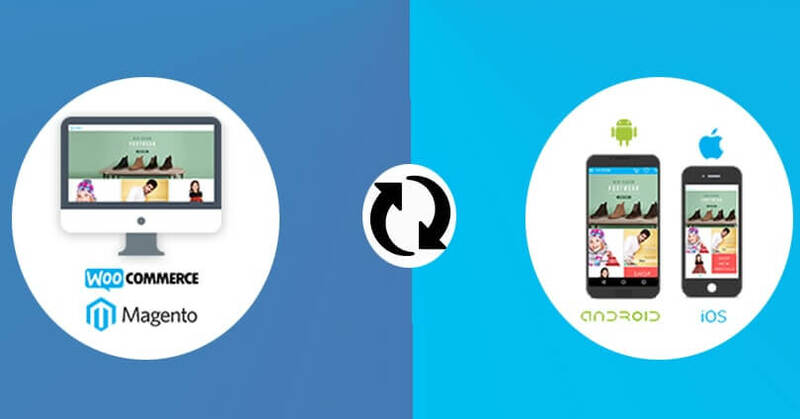 The company constantly works to give you the latest updates and fixes bugs to close loopholes. 1: You have to create a strong password, or you can use the cPanel provided password. You are protected from FTP connections, but you should change your password with time. 2: The developers have added Virus Scanner to keep the privacy invaders away. 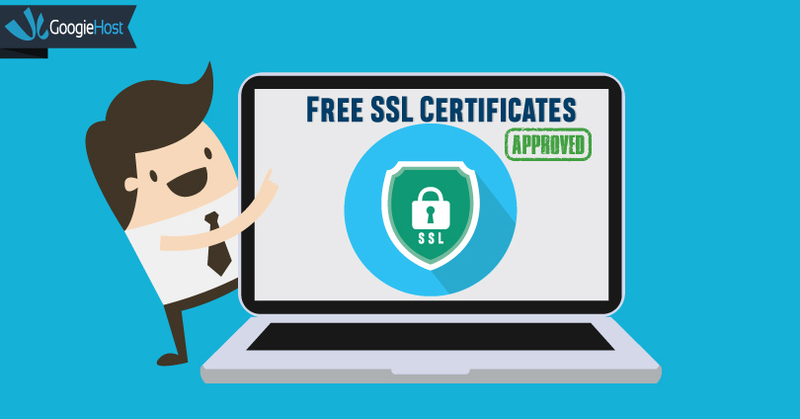 It is extremely easy to use the cPanel and get the best security options from the official developers. cPanel does provide you customer support, but they don’t provide the customer with call support. 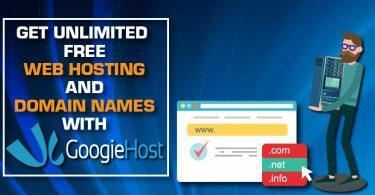 If you are someone who has subscribed to a hosting provider, who is offering cPanel hosting, then you can approach them for assistance. cPanel hosting providers do have dedicated customer support on their end, and you can get maximum assistance from hosting team. Fortunately, the hosting company fix or replace the cPanel accounts if they found fault with the accounts. 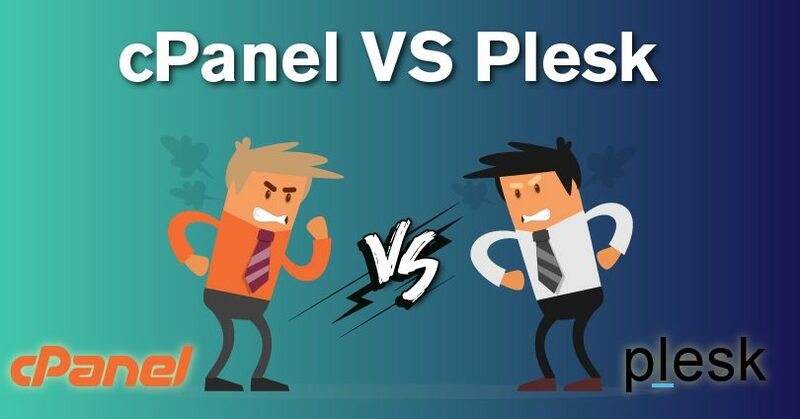 Conclusion: cPanel vs Plesk Which is Better? 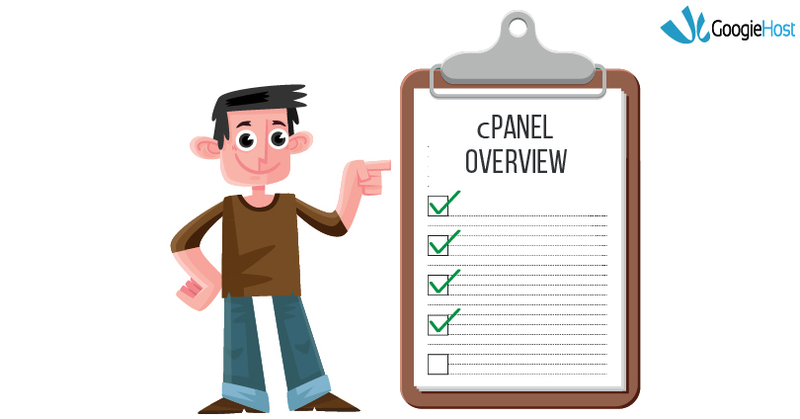 We have used cPanel a lot, and we may give you one-sided solution or answer, but we do have an answer that you should know about it. If you are planning to make a WordPress website and you have little knowledge in operating control panel, then you should go for cPanel. Many major hosting providers are currently offering cPanel based hosting accounts in Linux and Windows, so going for the cPanel hosting will ideal for you. 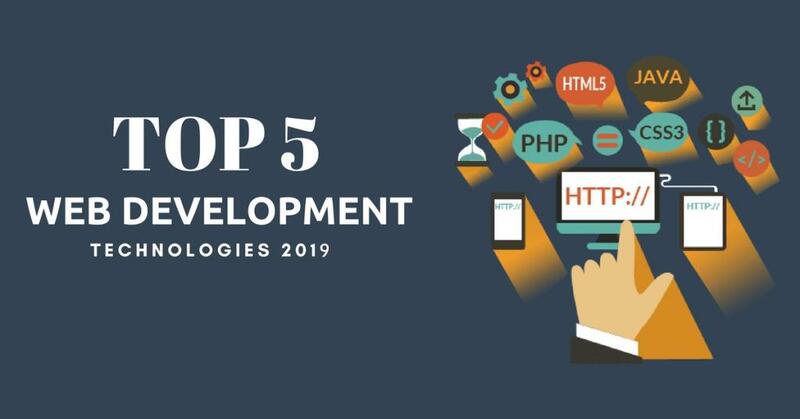 However, in Europe market, the Plesk is leading, and if you are in Asia, then cPanel makes more sense to us because you get plenty of support and customer support has more knowledge in cPanel than Plesk. Let us know your choice in the comment section.